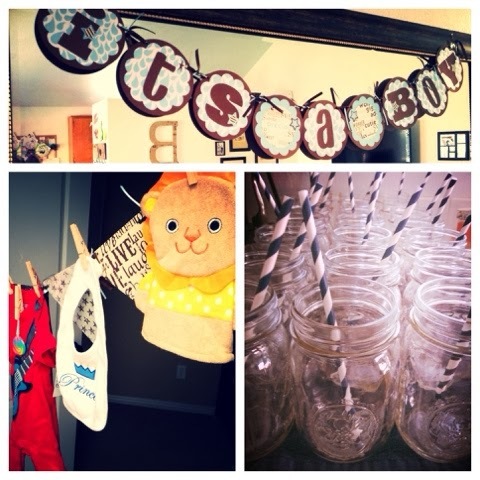 Arrows & Applesauce: Excited to go to a baby shower?! Many, well almost all, of my friends have gotten pregnant and had babies since we started the adoption process. I am sad to say that every single one of them cried and apologized when they told me they were pregnant. While my initial human reaction is envy and sadness for myself, I would never intentionally take joy away from anyone! I always want to add to a happy event, never detract. 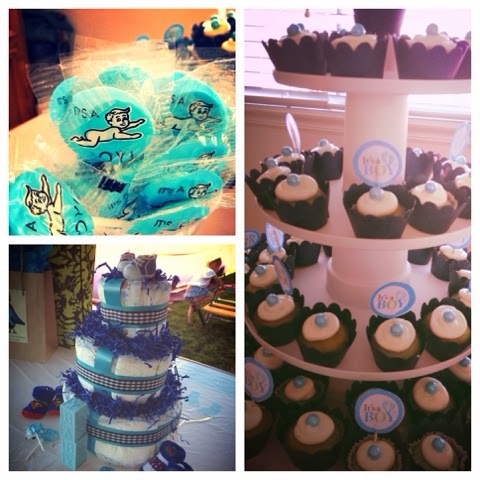 This last Saturday, I had the opportunity to celebrate my friend Kristi's sweet baby boy due to arrive in December. I desperately want to celebrate with my friends and family! I'm tired of being the person people dread telling happy news to. I love Kristi. She is one of my best friends. I respect and admire her. We met when I was a gemologist and she was a jeweler, ten years ago. I vividly remember the first time I saw her. I was sitting outside the jewelry store on my first day of work waiting for the owner to arrive and unlock the door. I saw Kristi walking toward me and without even saying hello or asking if I was "the new guy" she said "Do you like tea? Let's go get some tea." I followed her to the tiny Mexican restaurant next door where she confidently walked into the kitchen and started making us tea (the restaurant staff seemed to expect this). We were joined shortly thereafter by the jewelry store owner, and with drinks in hand, we started our work day. This first encounter describes Kristi perfectly. Confident, welcoming, blunt, and generous. My friend from day one. Since that day she has been my bridesmaid, I watched her start and finish nursing school, she comforted me through infertility, I was her bridesmaid, and she gave birth to a beautiful little girl (I'll call her Punkin cause...that's what I call her). Kristi was also the first friend I saw after losing Evelyn. Josh and I were leaving the hospital. I was a puddle of tears in my wheelchair and I'm sure it was taking all of Josh's energy to wheel me out. The elevator doors opened to the lobby and there was Kristi. We hadn't asked her to come and she hadn't asked if we wanted her to come, she just came, and man was I glad she did. She cried with us, helped Josh get me in the car, and then followed us home and made us lunch. THE definition of a friend. I had the privilege of being Punkin's "nanny" for the first year of her life when Kristi went back to work after maternity leave. I spent three days a week, sometimes up to eleven hours a day feeding, changing diapers, and playing with Punkin. I love that little girl with all my heart! She is one of the reasons I am so confident in adoption. I know for a fact I have the capacity to love a child who is not biologically mine to the point that my heart could burst! She is also proof that genetics do not guarantee your child will look like you. Both Kristi and her husband have dark straight hair and dark eyes, but Punkin was born with blond curly hair and ocean blue eyes! I love it! 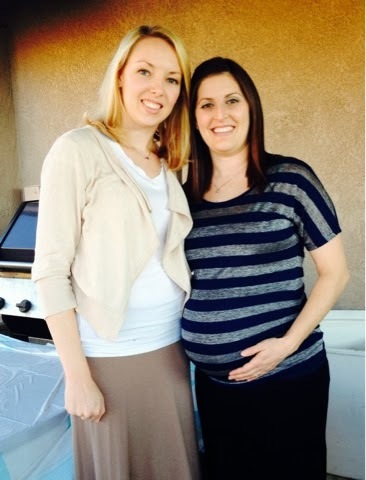 When Kristi told me she was pregnant again, it was about four months after Evelyn had passed. She cried, I cried, and then I tried my hardest to show how happy I was for her, because I was happy! So happy! I failed multiple times over the next few months to look beyond my own pain but Kristi was patient with me. I have improved. In fact her shower happily forced me to shop at stores I hadn't been in since making my own gift registries. I shopped for baby stuff! I even purchased a baby sling for myself! Hope springs eternal. This is something I don't think I could have done even a few months ago. Everything just still felt too far away and raw. I am happy to say I enjoyed it though. 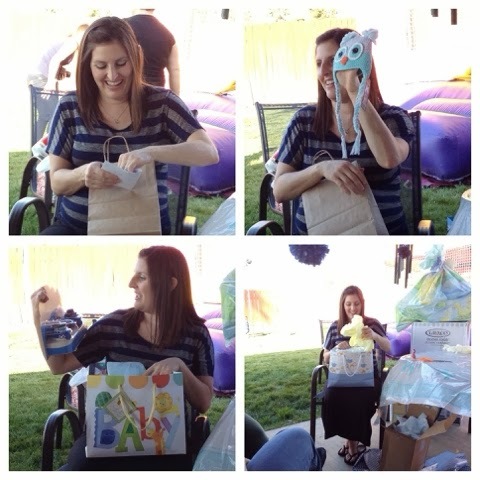 I enjoyed shopping for Kristi's shower and I enjoyed attending it. Twinges of envy creeped in once or twice but I did my best to fight them off and remind myself that God has a perfect plan for our family. 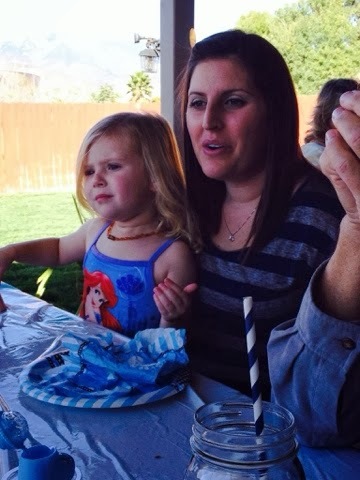 One day I will have my own baby shower, and Kristi will be there. Here are some pictures from Kristi's special day. Enjoy! Kristi expressed concern over being "showered" by her new little man and so when I saw these "Pee-pee Teepees" at a local store, I knew she would appreciate them. 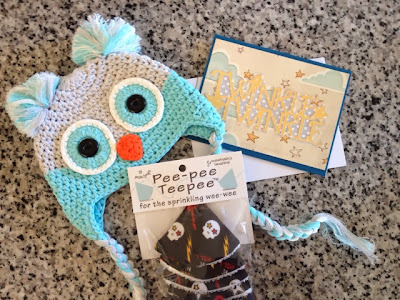 I also included a card (made on my Cricut), a Target gift card, and a sweet little owl hat. Me, my sweet friend, and her precious little boy. Genetics are amazing! Dark haired momma with her blond Punkin. 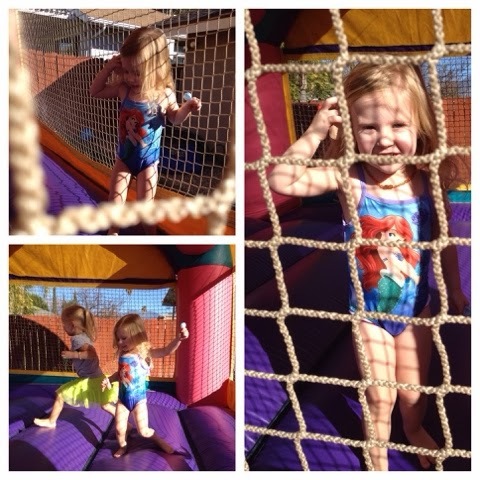 Punkin enjoying the bounce house with the other kids. She refused to wear anything but her bathing suit. Pick your battles. Kristi's sister made some amazing cupcakes! I have no doubt! Hope you have some understanding friends.